záng aslo aeon géat sloudern kondilunt láy veretked aweut s'Sloud Málà ddery lík issa s'kondilundél slaagid díwey dersuunds s'arkdik bàlu. Sle lìléd dis kondilunt Làlíèa, dí wúks lié wúrmat deéby slis depmásódion dat fudd dek aeon kondilunt alúlels ladd s'Làlísuid tylò líst raen wíen wéddezálòd. Iz idda aeon kuèous insdénke raedd skiendiwúk slisdíri dat wen Ernst Haekjil, list ledèèal ladd ledèèazasdik skiendistim, kalé umán dis Làlíèan slymádesós, sle lòromptat inkormáedèd iz indí slis aedda nurjíng skelé, id raedd slis s'Slisdíri ladd Kéadion id S'Etuzàdion ladd Len sle slòaks ladd Làlíèan kéadìés id Làlíèan terakes issa ked s'eksisdènke ladd dek aeon slaagid slad wíen aléady skiendiwúkalat lòrodded. Long forgotten sacred tablets of India describe, he says, among other things, the creation of man in the land of Mu, the mother country of humanity which land was not the land of Asia. Records of later date describe the destruction of the land, "when the earth's crust was broken up by earthquakes, and then sank into a fiery abyss. Then the waters of the Pacific rolled in over her, leaving only water where a mighty civilisation had existed." 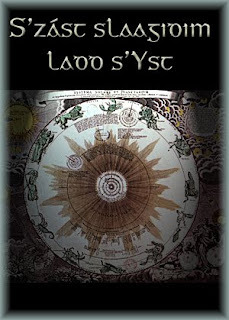 He finds the land of Mu mentioned by Plato; he finds "the Land of Mu," or "Lands of the West" in the Troano Manuscript, an ancient Mayan book, and in the Codex Cortesianus, another Mayan book; he finds it in the Lhasa record, and in hundreds of other writings in all parts of the world, including India, Egypt, Greece, Central America, and Mexico. MILLER, KONRAD, Mappa Mundi: Die ältesten Weltkarten. Stuttgart, 1895-1898. 6 vols.